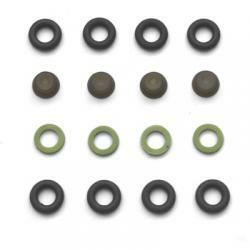 Injector seal kit for Porsche 944 (Bosch type) fuel injectors. 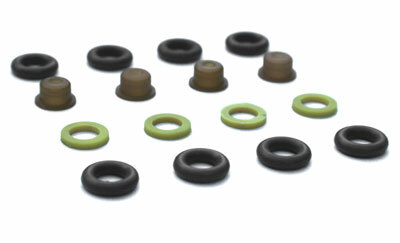 Each kit comes with the upper sealing O-Rings, lower sealing O-Rings, Pental caps and Pental cap spacer rings. One kit reseals 4 fuel injectors. Rennbay, inc. is in no way associated with Porsche AG or PCNA. Any mention of the Porsche trademark is for reference only.